Steel Plus CE is water-based, non-yellowing, 100% Novolac based epoxy available in clear and white finishes. CE Epoxy is chemical and corrosion resistance with a low odor ideal for commercial application where workers are present without causing downtime. Steel Plus Epoxy is an accepted USDA and FDA epoxy product. 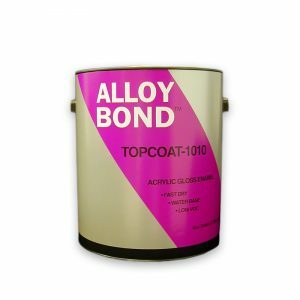 SKU: 20-450-809 Category: Metal Paint Coatings Tags: Epoxy chemical resistance, Epoxy corrosion resistance, UV Stable Epoxy Clear, UV Stable Epoxy White Brand: Burke Industrial Coatings. 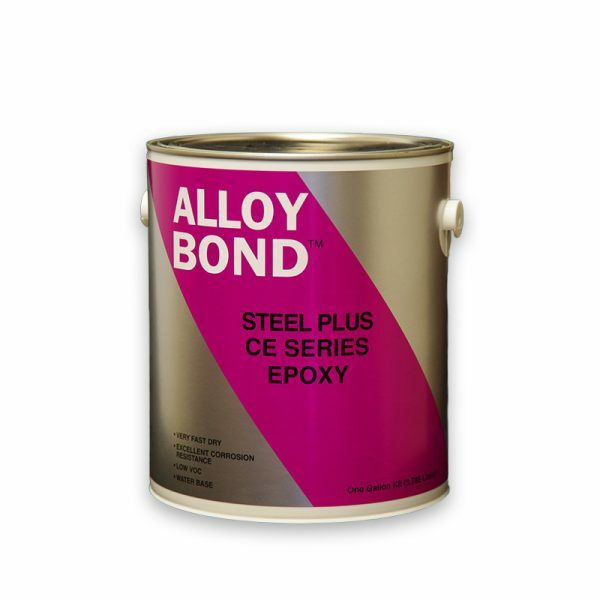 Steel Plus CE White and Clear are very high quality, water-based epoxy paints that are cured with an aliphatic amine curing agent for the utmost in chemical and corrosion resistance. The clear is designed to be used over Steel Plus CE-316 to offer an additional coat of high gloss protection or to be used alone as a clear finish. The white is used in place of the stainless steel finish where USDA White is required. These high gloss enamels are two-component, water-based, non-yellowing, 100% Novolac based epoxies. They contain no HAP solvents, have exceptionally fast dry and are cured with a cycloaliphatic amine curing agent. They are a 2 to 1 mix that requires no induction time and has the exceptional chemical and corrosion resistance expected from a Novolac epoxy. Their low odor makes them ideal to use in a warehouse or manufacturing plant while workers are present. They are very low VOC, are easy to apply, with water clean up and are USDA and FDA accepted. Uses for Steel Plus CE: Epoxy A tough, heavy duty, extremely chemical resistant epoxy designed for maximum performance in severe environments. Recommended Primers: In most cases, Steel Plus CE is used over a stainless steel middle-coat. Steel Plus Epoxy Primer or Prime Solution 5250 Red/5253 Gray. 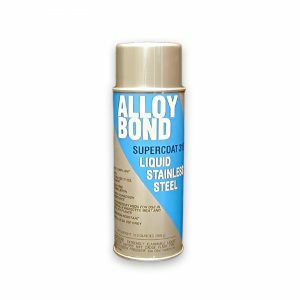 Required on all metal or old coatings: Remove all dirt, grease, oil, salt and chemical contaminants by washing the surface with BC-4000 cleaner or another suitable cleaner. Thoroughly cured old coatings or new smooth metal may require scuff sanding for maximum adhesion. Moderate Exposure: Abrasive blast the surface to SSPC-SP-6 commercial blast before priming. Severe Exposure: Abrasive blast the surface to SSPC-SP-10 near white blast before priming. Apply only when air and surface temperatures are between 50oF and 100oF and surface temperature is at least 5oF above the dew point. Using Roller or a Brush: Use as mixed. Dilute with water as needed. Using an Air Atomized Sprayer: Dilute up to 5-10% with water if needed. Using an Airless Sprayer: Normally, no dilution needed. Air Atomized Sprayer: Please follow the equipment manufacturers nozzle and needle selection recommendation for use with medium viscosity paints. Spray at 45-60 psi. WFT to Achieve DFT: 8.0 mils. Warning: California Prop. 65 warning: Detectable amounts of chemicals known to the state of California to cause cancer, birth defects or other reproductive harm, may be found in this product or its vapors. For specific information refer to the Safety Data Sheet(SDS). Please Note: This product needs a curing agent. If you order 1 Gallon you will need Qty. 2 16-Cure-F4 (Quart), If you order 5-Gallon pail you will need Qty. 2 16-Cure-F1 (Gallon) and Qty. 2 16-Cure-F4 (Quart) and if you order Quart you will need Qty. 2 16-Cure-8 (1/2 Pint).